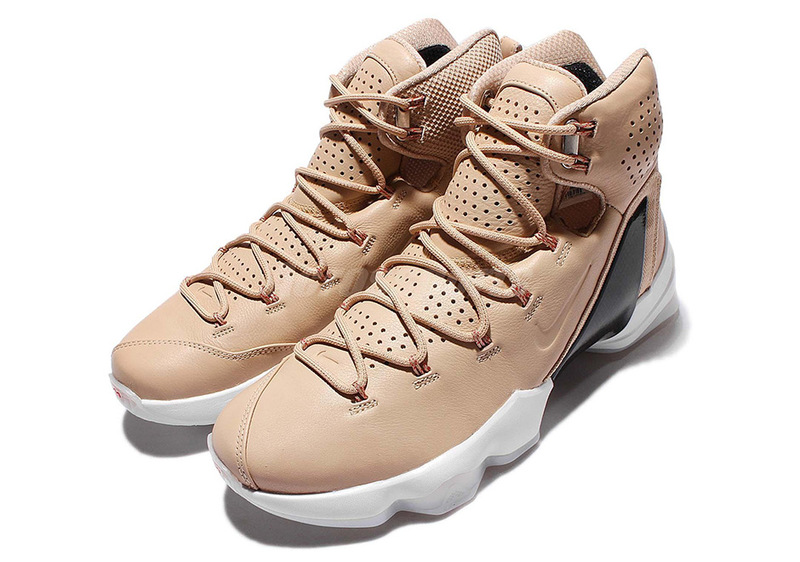 It’s usually this time of year when we start seeing previews of LeBron’s next signature sneaker, but even with the anticipation of the Nike LeBron 14, the Swoosh is still creating new renditions of the Nike LeBron 13 Elite. 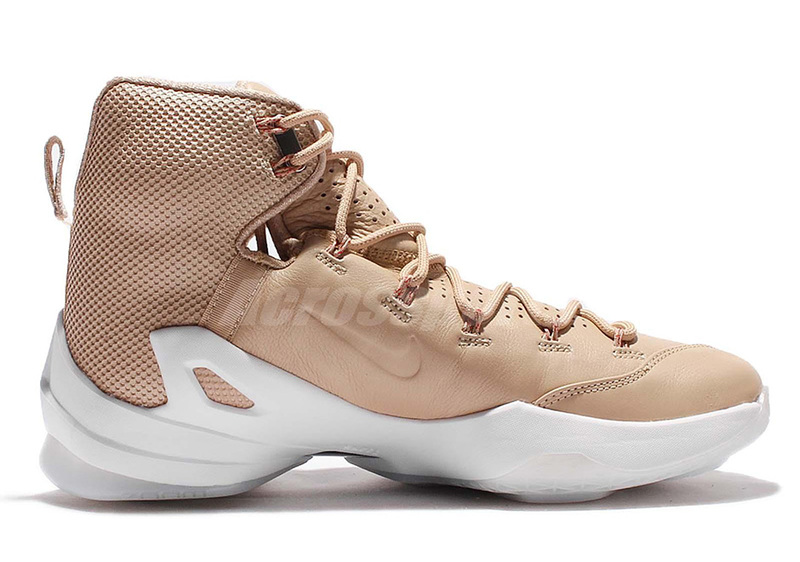 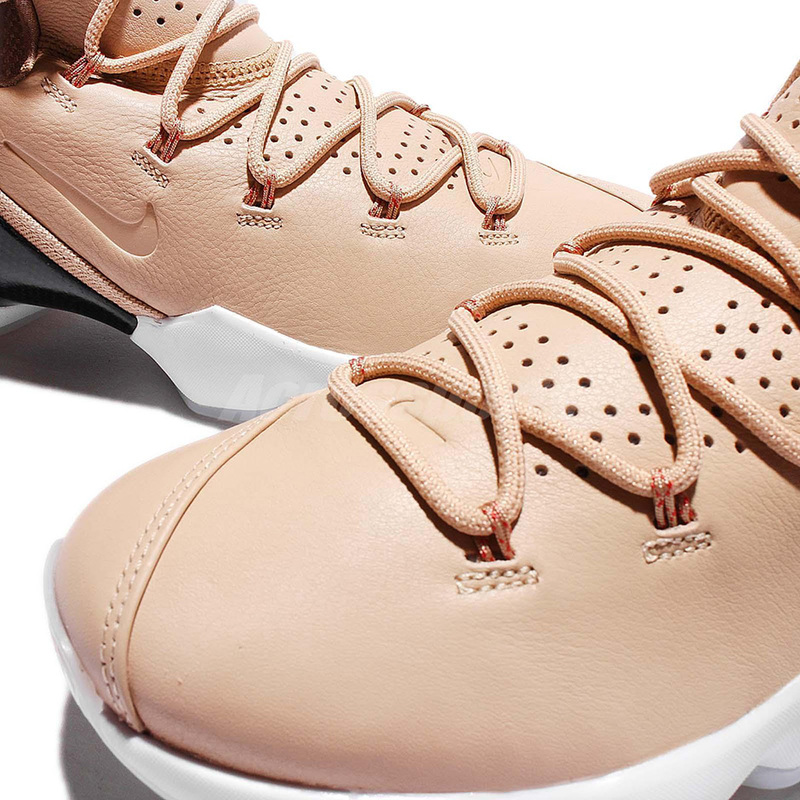 This EXT-like leather rendition is the most premium creation utilizing the LeBron 13 Elite as a blueprint to date, and it pays off thanks to smart use of the popular vachetta tan color throughout. 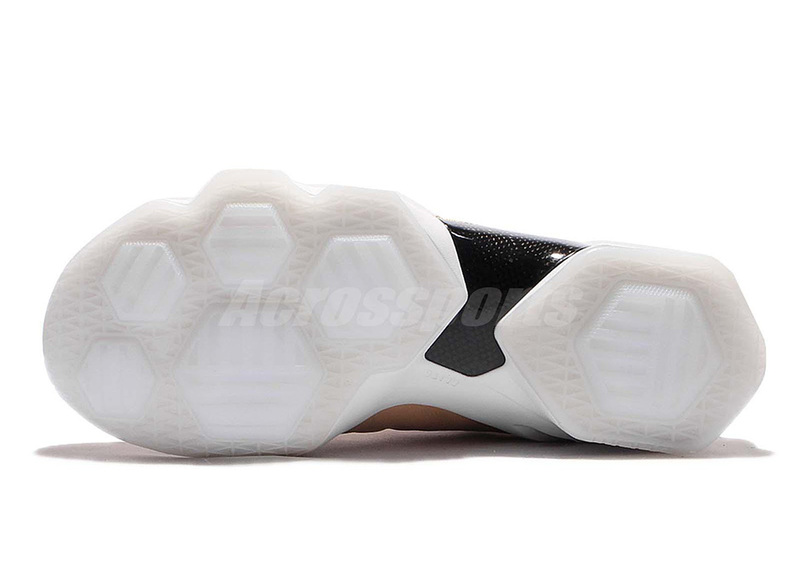 The LeBron 13 Elite tweaked some of the performance technologies to help LeBron shed some weight for the added playoff push. 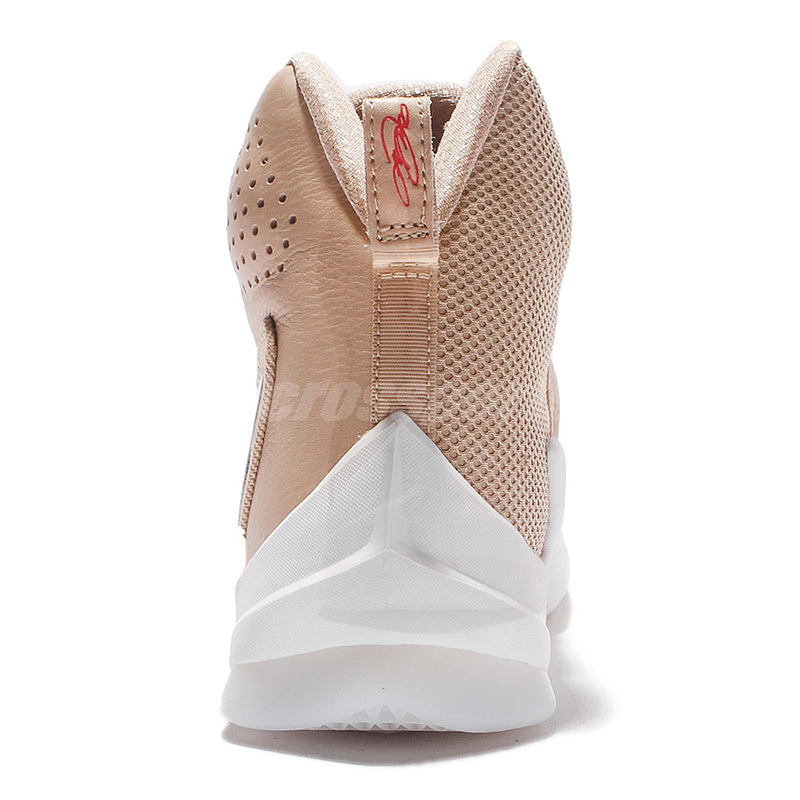 The overall aesthetic remained relatively unchanged by adding a huge carbon fiber shank, losing the posite construction for a synthetic Kurim rubberized textile, and more. 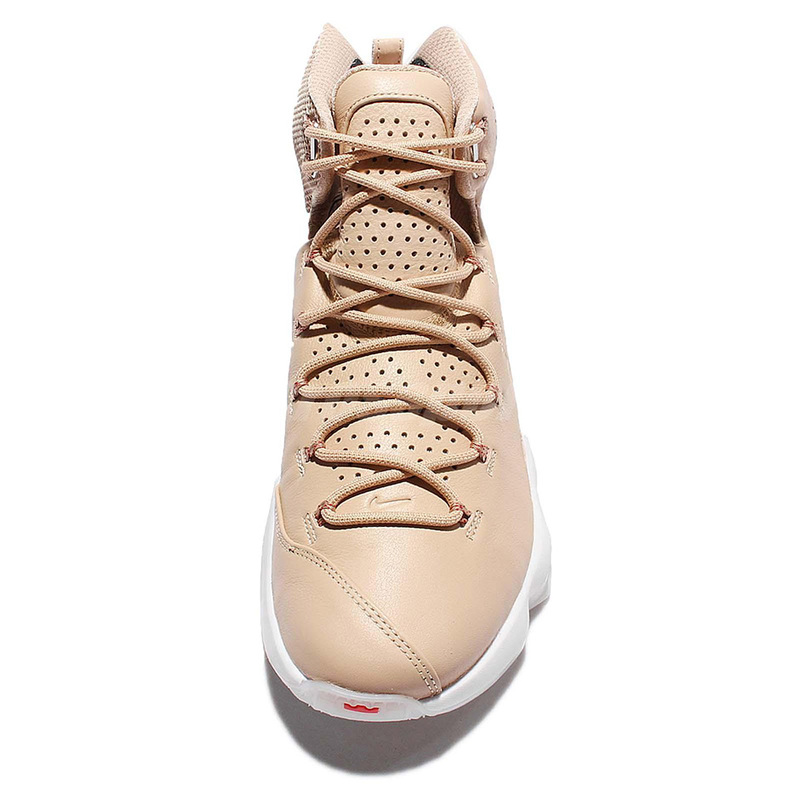 The addition of a premium leather sees embossed Swoosh details on the side panel, added perforations up the tongue, subtle yet effective red speckling on the exposed Dynamic Flywire and heel branding, and a milky white outsole. 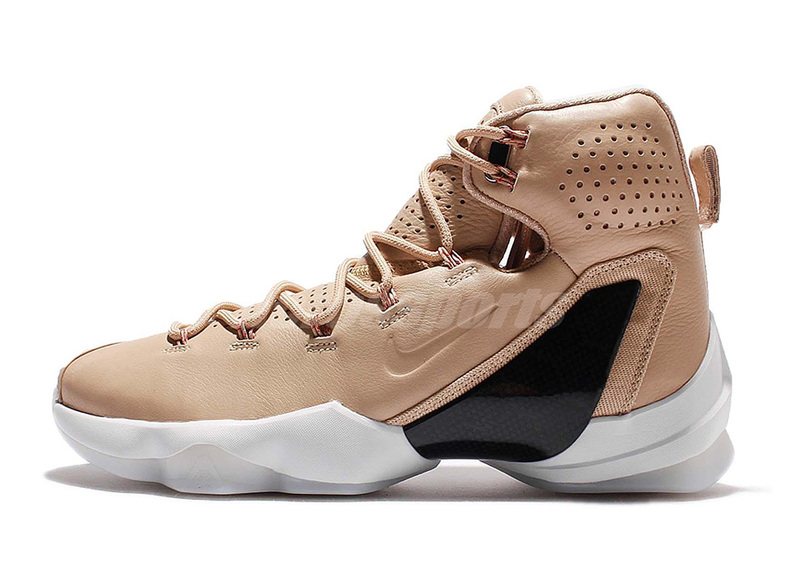 There’s no word yet on a release date, but you can grab this premium LeBron pair right now on eBay.